The westbound side of the A27 has been reopened following a serious accident this morning - but the eastbound side is expected to be closed all morning, police have said. 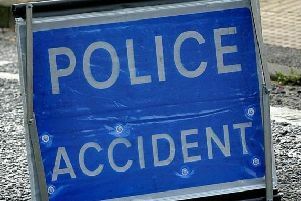 Emergency services were called out to the scene at 6.05am this morning, where it was reported that a car and a pedestrian had been in collision in lane one eastbound between the A2025 Manor Road, Lancing and Old Shoreham Road, Coombes, police said. According to police, the location was given as 500 metres east of the Lancing Manor roundabout and led to the A27 being closed to eastbound traffic between the roundabout and the A283 Steyning interchange. The pedestrian, a man, sustained critical injuries, police confirmed. The Kent, Surrey and Sussex air ambulance flew to the scene, police said. Motorists have been diverted via the A2025 Grinstead Lane to join the A259 Brighton Road at South Lancing, crossing the River Adur before returning to the A27 via the A283 Old Shoreham Road/Steyning Road, police added. Heavy congestion ensued. Anyone who saw the collision is asked to contact police on 101 with details, quoting Operation Anwick.